It’s well known that Catalunya, the Basque Country, Arragón, Valencian country, Madrid, Andalucía, Galicia and all the other regions of Spain have lots of rock, lots of crags. Some are 5 star, some others are very small in comparison to El Chorro, Margalef, Siurana or Rodellar. But there are some others -less international- that are worth a visit. It’s quite impossible to know what is happening in other areas beyond where we move. 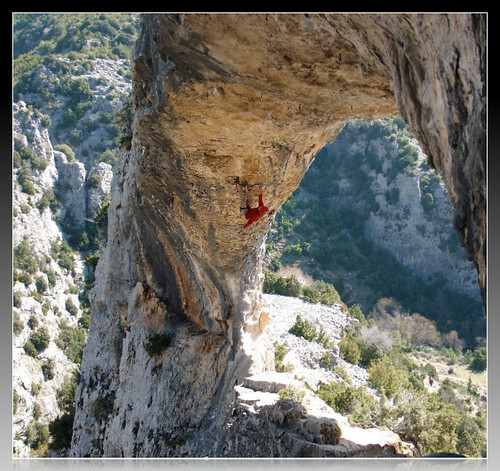 As you know, we live near Barcelona and for the moment, we have only climbed in Catalunya and the Valencian country. Some other regions and crags are in our mind to visit them in a short space of time but, meanwhile we have to watch pictures and read about this unknown crags -for us- in forums and blogs. Nowadays, you can buy climbing guides for almost all the areas, but sometimes are outdated. So the spanish climbers started one of the biggest climbing blog-roll over the net where they explain what have they done last weekend, update crags info, upload pictures and videos… a really good way to pass by the working days reading about climbing and thinking about new projects, new trips… till the weekend arrives. Hey, the next list is about bouldering in Spain! Have fun! 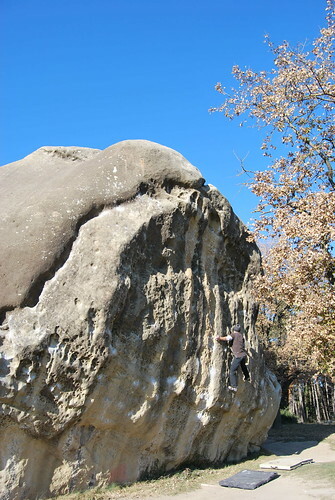 Posted in Articles, Bouldering, Crags. Tagged with Bouldering, Crags, multi-pitch, sport climbing, travel tips.